No man is an island. Especially when you’re building a business, you can’t accomplish everything by yourself. You need a continuously growing team as your business expands. It is important to recruit great talents as many as you can to bring your business to a greater success. But we all know that good and skilled employees are rare to find and expensive to replace. Therefore, it is obviously important for a company to attract great people and keep the turnover low. There are a lot of ways you can use to retain your good employees and attract new talents, but the most effective strategy is to build a good employer brand. A successful employer brand can make you stand out from your competition. Today I’m going to show you some very outstanding examples of successful employer brands. 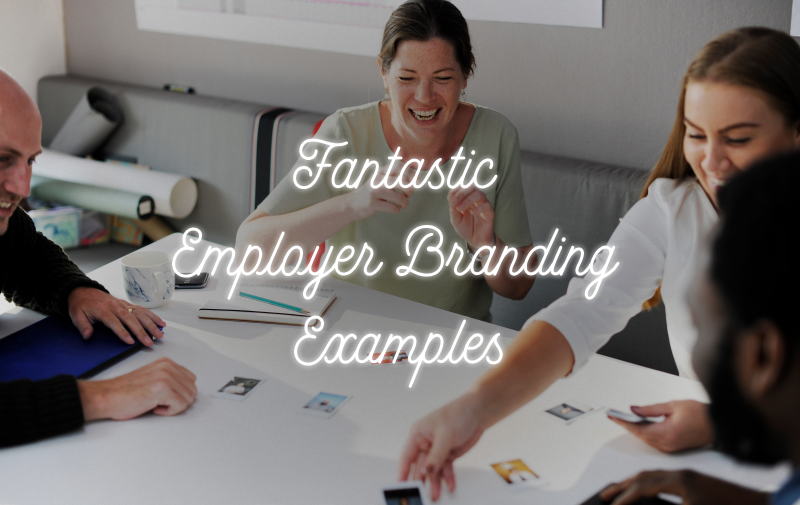 We try to stay away from big names like Google and Apple, because you might already be aware of their employer branding efforts. 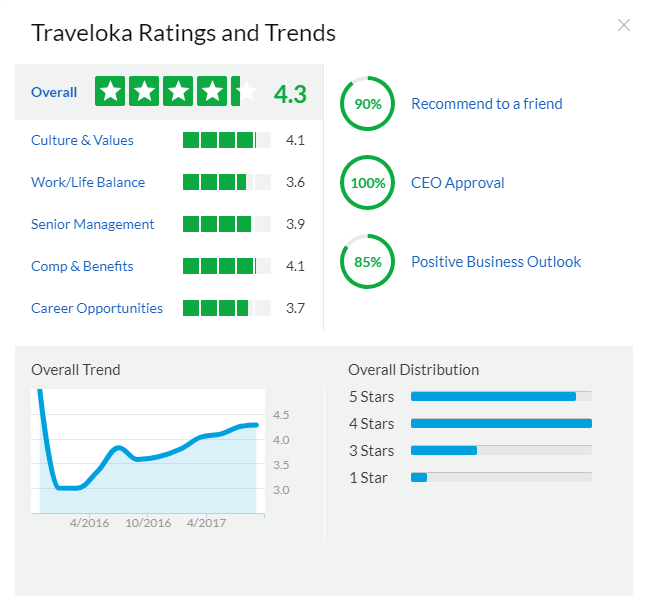 The Indonesia-based tech company – Traveloka – is one of the most attractive employers in Indonesia. They score a 4.3 over 5 ranking on Glassdoor, which most of the companies’ average scores are around 3.5 to 3.8. Many fresh grads in Indonesia are very keen to join Traveloka. So, what are the secrets? First, Traveloka is a very advanced tech startup. Most of their founding team members had experiences of working with great tech companies in the US. They brought back the culture from there and create a Silicon Valley kind of environment in Traveloka. The culture in Traveloka is very fun and lively, employees can choose what they want to wear (Yup, you can wear shorts and sandals! ), they are provided with free lunch, and the Jakarta HQ office even offers flexible working hours! Moreover, the engineers in Traveloka come from great backgrounds. Most of the young engineers are graduated from the best universities around the world and some of them are TOKI’s alumni. You know you will gain a great experience and grow to be a better and professional engineer by working together with these great people. Most importantly, people like to work with a company that they can be proud of. Being one of the unicorns in the region, Traveloka is growing greater from time to time. It is an honour for anyone to represent a successful homegrown brand like this. The Southeast Asia first budget airline – AirAsia – has always been successful in their branding. But do you know they also spend a lot of good efforts to build their employer brand? Take a look at their brand-new headquarters, the AirAsia RedQ located in Kuala Lumpur. Besides the breathtaking working environment, as a successful company in the travel industry, AirAsia offers their employees Travel Benefits that allow them to travel freely with minimal charges. As millennials love to travel, this is definitely a great selling point! The entertainment industry in South Korea is very competitive. Being a K-Pop fan, I have been observing all the news and trends in the K-Pop industry for years. Almost every week, there are new K-Pop groups or artists being debuted. The success of a group or an artist is often tied to the success of the agency. However, the agency has to acquire popular groups/artists and talented trainees in order to earn profits. YG has a lot of world known artists, for examples Big Bang, PSY, Akdong Musician, etc. Even independent artists like hyukoh, Zion. T has joined YG. How does YG recruit their stars? Like all the attractive companies around the world, YG Entertainment has a highly publicized headquarters that comprises of recording facilities, gym with professional trainers, practice rooms, office, and a well-known pantry. Besides, from the realistic shows ‘Who is Next’ and ‘Mix & Match’, we can see that the training processes for the trainees are very systematic. They are provided everything they need to enhance their skills. 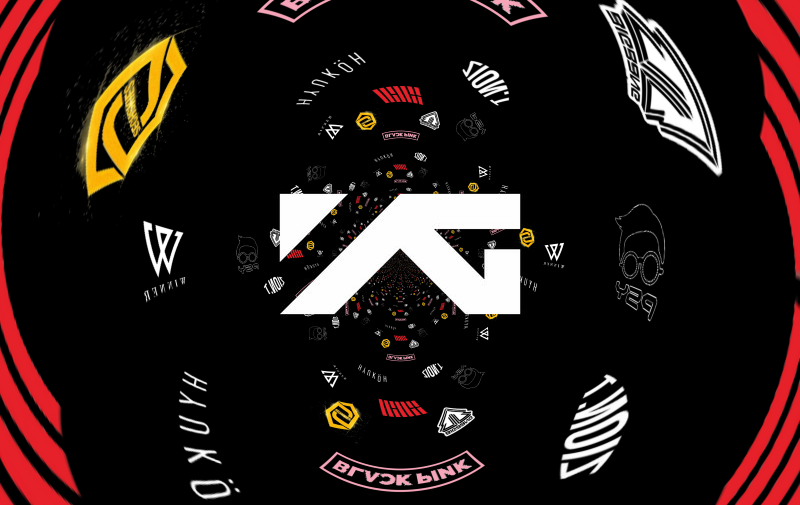 Moreover, the artists have a lot of opportunities because YG operates a number of subsidiary ventures including clothing line, a golf management agency and a cosmetics brand. Artists can get more exposure by promoting the subsidiaries on tv commercials. The most attractive point is senior artists are given stock options of the company. If you don’t have media resources like YG Entertainment, Astro etc., and you don’t get as much as press attention like big companies like Google, AirAsia, Petronas, don’t worry. Nowadays, social media is just as powerful as press or tv. Brand yourself as a great employer, you will save a lot of time and money to recruit great talents!